On a cold winter’s night, people love a warm and cozy fire. But, they don’t like to think about chimney maintenance and repair as well as the cost and tasks involved. Now there are several types of chimneys; but for this discussion, let’s concentrate on brick or stone chimneys and fireplaces. Many people don’t realize there is maintenance involved in order to maintain a safe chimney system. For example, there may be structural repairs, such as brick and mortar (masonry) repair known as tuck pointing which repairs missing and damaged mortar. Repairing the mortar can improve heat and air loss and prevents moisture from entering the chimney system. Or, there may be maintenance and repairs that involve chimney cleaning and replacement of a chimney flue or vent. Improperly constructed chimneys can lead to drafty inefficient systems. Fireplaces should not have downdrafts. If the chimney does have a downdraft, it should be inspected both inside and outside. 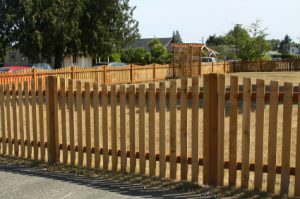 Burning wood causes creosote buildup. Tar and creosote buildup is flammable and the leading cause of most chimney fires with heavy smoke. Maintenance and repair may include replacing a poor damper which leads to heat loss which translates to added cost and wasted dollars going up the chimney in smoke. A good chimney cleaning should include sweeping the fireplace and chimney of creosote, soot, and tar buildup as well as cleaning smoke ducts, flue pipes, and vents. A chimney fire can ignite at 451 degrees Fahrenheit with only 1/8 inch to 1/4 inch creosote buildup. Annual chimney inspections are helpful to determine if the chimney requires a thorough cleaning. A skilled chimney inspector, or a chimney sweep, can perform this important maintenance job. 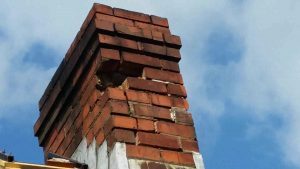 An annual inspection should include a review of the chimney and fireplace structure for brick, mortar, and tile damage and cracked tiles or missing mortar. As well, the inspection should include a review of the chimney cap and vents. The cost of the inspection and cleaning varies; however, on average it can cost as much as $100 to $150. Proper maintenance and repair reduces fire risk and improves the lifespan of the chimney system. Dangerous carbon monoxide occurs with improperly maintained chimney and fireplace systems. For added protection, install carbon monoxide detectors on every level of the home. Be safe while enjoying a cozy fire in the evening. Fireplace use tips: Burn seasoned wood and keep the wood properly stacked and stored in a dry place out of the rain. Burning wet or green wood impedes air flow. Closed fireplace doors or a partially closed damper also increases creosote buildup. In a masonry chimney, soot buildup decreases airflow as much as 20 percent. A properly installed chimney cap keeps objects and rain out of the chimney and reduces downdrafts. Creosote Sweeping Logs (CSL) use minerals that remove the dangerous tar and creosote from the chimney flue. Replacing a chimney cap keeps bats, rodents, and birds from entering the chimney. The chimney cap prevents rain, leaves, mold and water damage as well as reducing downdrafts.